So… What’s dominated the headlines this week? 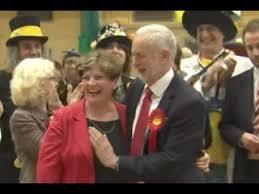 Leading Labour party members accused of Communist conspiracies? Haha. Like a bad television drama on its tenth rerun, major news outlets are perpetually peddling the same ‘Jeremy Corbyn – enemy of the state’ story, every time they feel that their status quo is under threat. Why after years of declaring Jeremy Corbyn a bumbling gardener do they suddenly decide he’s an extremely clever foreign operative who’s hoodwinked MI5 and MI6 for 30 years…? 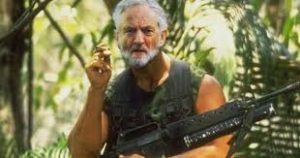 Jeremy Corbyn pictured weeding his allotment. Is it suspicious that after Corbyn publishes his tax return and speaks about the importance of tackling tax avoidance and encouraging Theresa May and the chancellor to do the same, that the right-wing press pulls out yet another smear story? Could it be a possibility that these news corporations that pay zero tax are running scared? That with the Leveson 2 inquiry hot on their heels thanks to a vote in the House of Lords in January, the press only has a limited time to spout their lies and misinformation to the public. What’s so unsettling about these numerous smear attempts against Jeremy Corbyn is that these papers are assuming that their readership is stupid. 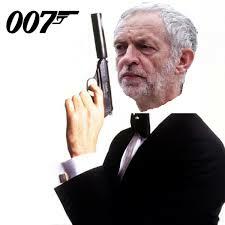 Corbyn has a way with the ladies, just like James Bond – Must be Spy! They think that the British public is dumb enough to believe wild made up stories like something you would only see in a James Bond movie. Relying on our ignorance to not know the difference between communism and socialism. Earlier this month Theresa May vehemently declared in her vituperative fashion at an extravagant black-tie event that she will ‘destroy socialism’ ???? 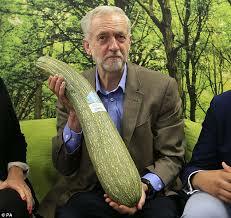 Giant marrow from Czech spy proves Corbyn was paid to be a secret spy for 30 years! 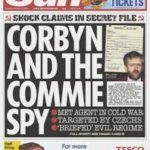 Socialism is continuously portrayed as something insidious, leading to Communism in papers like The Sun and The Daily Mail. Yet they can’t provide valid explanations for this reasoning. So, to ensure that we are not made fools of by our unregulated press moguls, the rest of the article will briefly explain the differences between the ideologies. Let’s start with ‘Communism’. We all associate communism with Russia and therefore it must be worthy of suspicion. John McDonnell and Jeremy Corbyn are frequently accused of being Communist sympathizers (amongst other things) The fact is they are ‘Socialists’. John McDonnell is actually more likely a democratic Socialist. Communism in its basic form is that we rid ourselves of class, everything becomes owned by the community and we get out what we put in or what we require. Everyone is equal, everyone works, and everyone reaps the benefits. The idea of communism is based on ‘Capitalism’ becoming a failed ideology. Capitalism, in a nutshell, is an economic mechanism that operates by the bulk of society working (The Working Class). The working-class work to survive whilst the employers (The Upper class) reap the benefits. Communist theory believes that when capitalism fails, the working class will have a revolution and the wealth is then shared equally. With the absolute basics of communism explained let’s move on to Socialism. Socialism is akin to the comfort blanket laid upon the cold mechanical workings of capitalism. Socialism is our NHS, its free education it’s the benefits we receive if we lose our jobs or fall ill, it’s our state pensions. It’s the parts of our society that keep us warm and cosy. There are many types of socialism but the one that matters when it comes to current affairs is ‘Democratic Socialism’. This variation is an ideology that is the hybrid of Capitalism and socialism. It works within a capitalist society but provides the balance that is required to protect all individuals. You may be surprised to learn that the House of Commons is a democratic socialist system and that abiding by the rule of law is also democratic socialism at work. Democratic socialism supports a hybrid economy but protects against the hard edges of capitalism and ensures that society is free of inequality, poverty and oppression. It supports both public and private property in capital goods and favours a mixed market economy rather than the capitalist free/open markets. The happiest societies are often a form of democratic socialism rather than neoliberal versions. Presently we live with Neoliberal governance which is a form of economic liberalisation. In layman’s terms, it is a capitalist all you can eat buffet where policies such as privatisation, austerity, deregulation, free trade and mass reductions in government spending are used to increase the private sector (Corporations) control of the economy and society. Of Course, Corporations only care about profits and not people but we’re okay with that right? We don’t need that cosy blanket of socialism to keep us safe. Previous articleTORY FLAGSHIP COUNTY COUNCIL FACING ABOLISHMENT – POSING A THREAT TO OUR DEMOCRACY!